Intel’s high-end mobile processors are just around the corner. 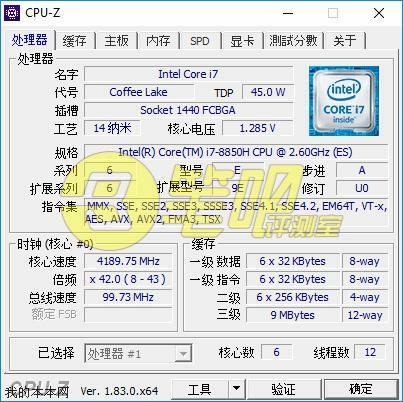 Here are the first benchmarks of upcoming Coffee Lake H series. 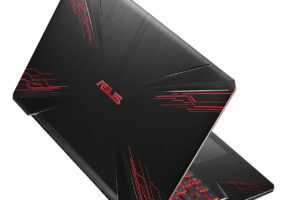 The first 6-core gaming laptops are almost ready for launch. 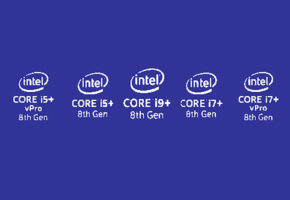 The introduction of unlocked Core i9 processors is surely an interesting development in a mobile market. So far only barebone notebooks were capable of supporting desktop CPUs unlocked for overclocking. 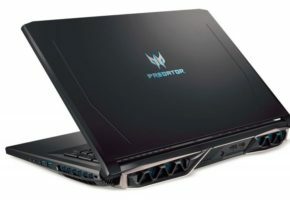 The mobile overclocking, however, is still an uncharted water, only demonstrated by recent Intel i7-7820HK series. 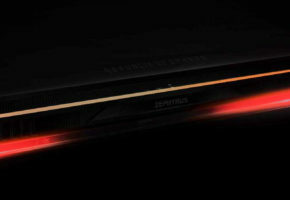 The 6-core pack features three SKUs: 8950HK, 8850H and 8750H. Intel is also introducing 8400H and 8300H with four cores and 8-threads. 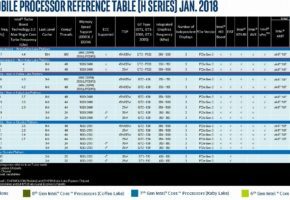 All Coffee Lake-H parts are 45W TDP, but this likely to be adjustable for overclocking. 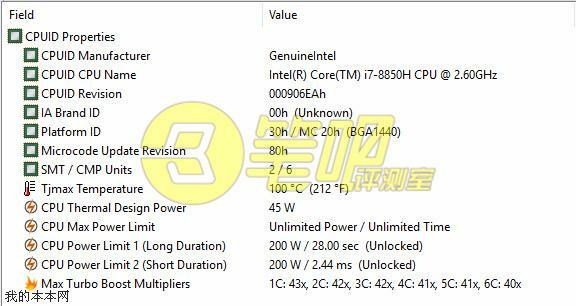 According to the leak from a Chinese website, the i9-8950HK reaches a score of 204 single-core in Cinebench R15. This is a Core i7-8700K territory. 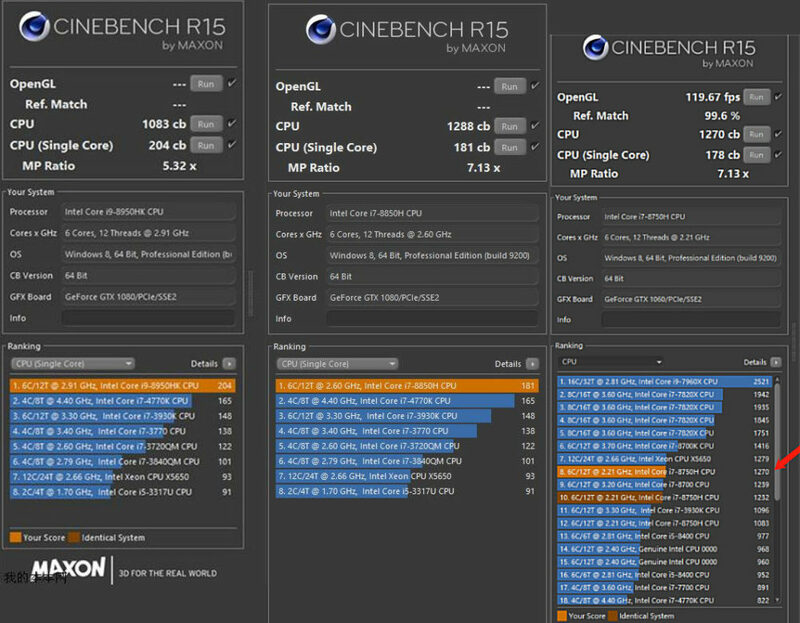 When it comes to multi-thread performance the i9-8950HK actually scores lower than 8850H and 8750H. The reason behind this is unknown, it could be anything from TDP limit to the actual testing platform. The Two SKUs are both 6-core SKUs with 12-threads. The difference lies in clocks. 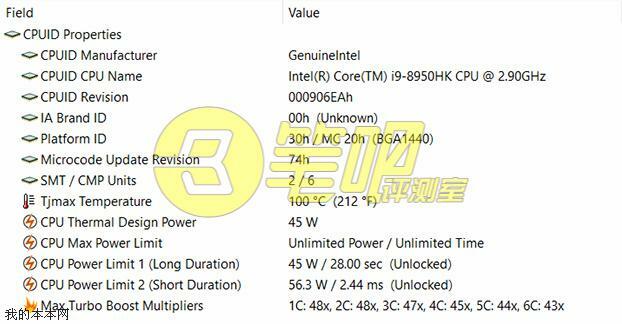 The i9-8950HK features a boost clock up to 4800 MHz, whereas the i7-8850H only boost up to 4200 MHz. 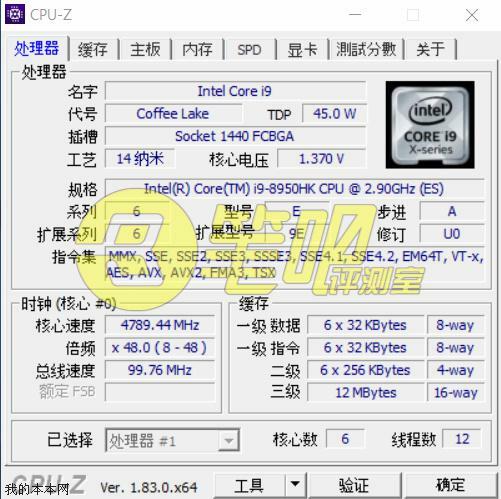 The i9 part also has a higher voltage (1.37 V) compared to i7’s 1.285 V.
Screenshots from HWINFO showcase TDP limits (which for some reason is higher for 8850H) and their CPUID revisions (so we can verify if the leak is correct later).